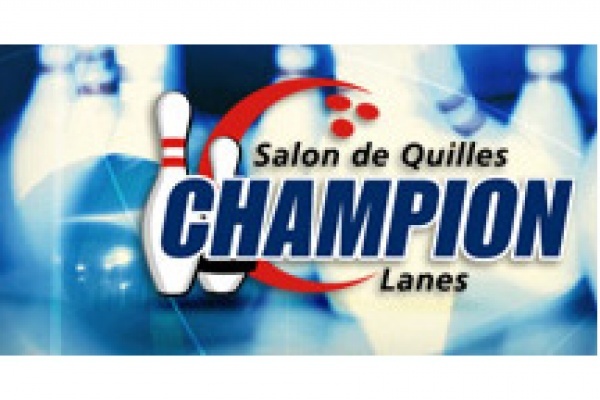 Champion Lanes is Canada’s largest bowling facility with 77 lanes, 57 Duck pin and 20 Ten pin lanes. We can accommodate up to 500 players. In addition to its high-tech scoring screens, Champion Lanes is equipped with a snack bar, a bar, video poker terminals, arcade games and billiard tables. Easy access and a vast parking lot. Three halls are available to accommodate your special events, whether they be children’s birthday parties or adult get-togethers. Specialists provide bowling lessons on request. Champion's Cosmic Bowling night, with DJ, music and special effects lighting, makes for an unbelievably fun evening. And to quickly manage the scoring results of your bowling leagues, Champion Lanes provides you with a computerized score and stats tallying system.